Panerai recently introduced a brand-new, highly limited edition model, which sports the PAM 532 designation. 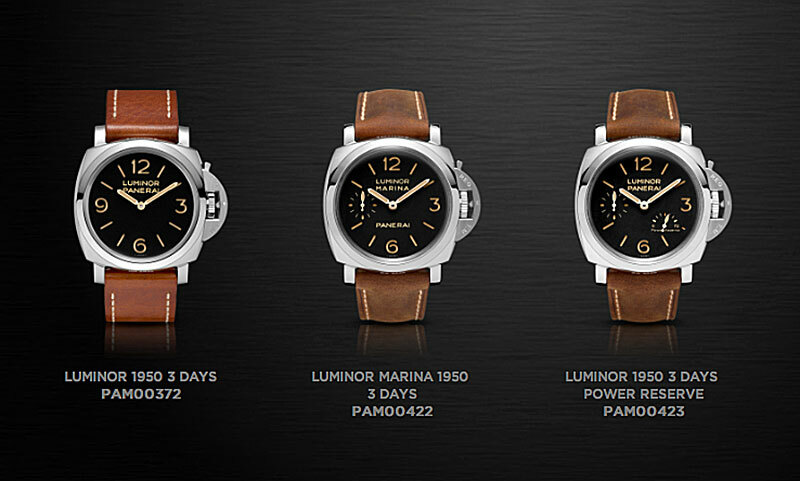 If this new model is indicative of things to come, the future is looking awfully bright for Panerai!!! Why? First of all, this model begins with what is arguably the best watch case design in history, and I don't say that lightly. The Radiomir 1940 case at 47MM is sheer perfection, and it has been around since the late 1940s. This model shows that Panerai design is hyper aware of how beautiful rich color combindations can be. The case is made from high grade AISI 316L 1.4435 stainless steel, which is then covered with a rich hard black PVD coating. Panerai developed this watch to to pay homage to its greatest fans, by engraving the caseback with the "PANERISTI FOREVER" designation. 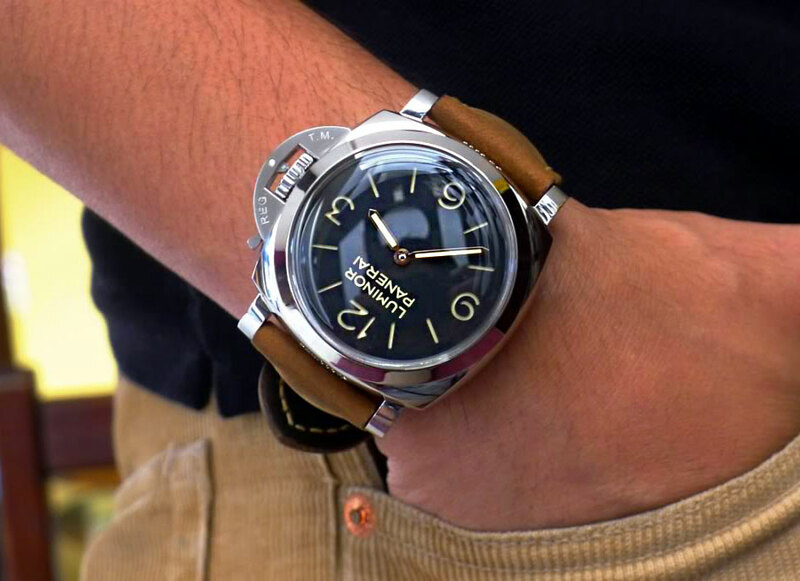 In case (no pun intended ;-) you are not familiar with the term Paneristi, it is used to describe die-hard Panerai enthusiasts, many of which share their extreme passion for Panerai, on Paneristi.com. If you are not familiar with Paneraisti.com, you should check it out. Paneristi.com is the ultimate online Panerai fan community site, filled with many nice, kind passionate fellow Panerai fanatics. I have been a member of Paneristi.com for many years, and I enjoy it very much. Paneristi.com is an invaluable resource for people that want to learn more about Panerai, as well as interact, communicate and socialize with other passionate Panerai enthusiasts. Paneristi.com was also the very first Panerai enthusiast site, and it is best know of its Paneristi Public Forum, which I highly recommend checking out, if you are not familiar with it. Paneristi also has a slogan that says "COMMUNITY. So much more than just a watch. PANERISTI.com", and it's profoundly true, that Panerai is so much more than just a watch. 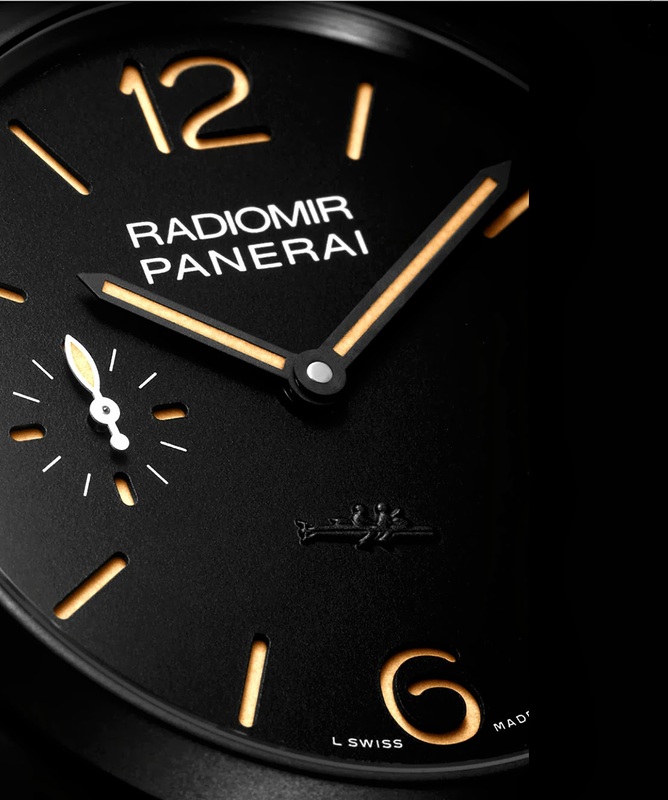 The PAM00532 represents the third time, Panerai has made a model dedicated to its loyal fans. 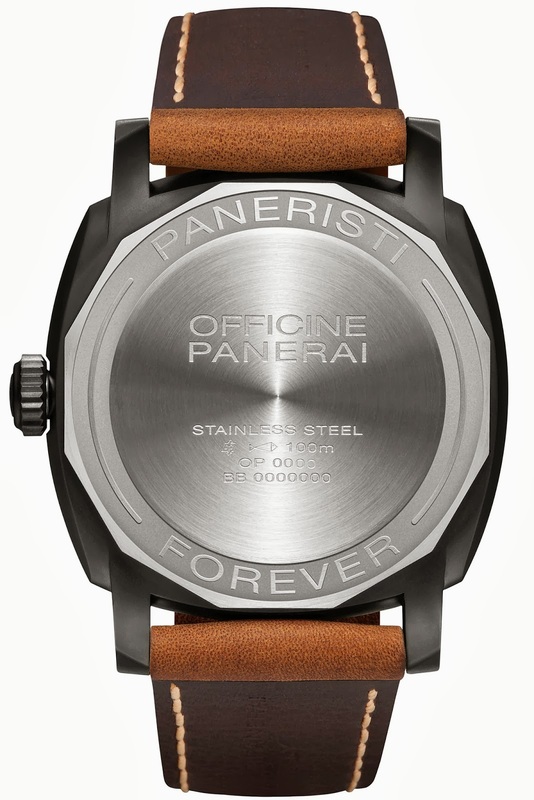 The first was the 44MM PAM00195, which was limited to 200 examples, then the 44MM PAM00360 which commemorated the 10th Anniversary of Paneristi.com in 2010, and was limited to 300 examples. Both the PAM00195, and PAM00360 were blacked-out with PVD coating. So let's take a closer look at this beauty to explore its details. The fist thing I notice is the stunningly masculine case, that is enhanced with the black coating, which makes it even more bold and macho. Couple this with the gorgeous antique tan lume, which perfectly matches the standard Assolutamente Panerai 26/26 strap, and you have a real Italian beauty & beast at the same time. 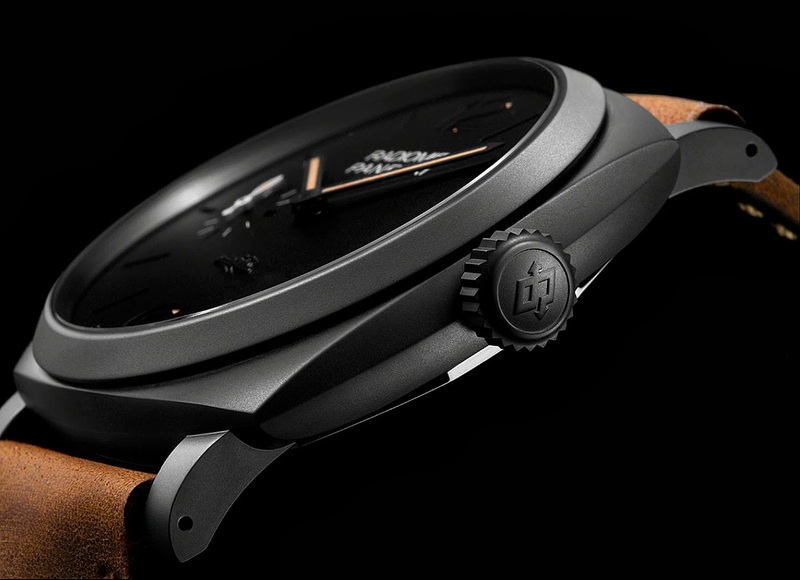 There is something magical about having the tobacco colored Assolutamente strap, coupled with a black case, which give the watch a unique look, that Panerai pioneered. This combination gives the watch a stealth, military, special-forces kind of tool watch look, that is also rich, elegant, warm, timeless and macho–all at the same time. The next photo shows the amazing side profile, which is beyond timeless, with its super-elegant simplicity. I am seriously in awe of the beauty of this watch. In many ways, it is like a thoroughly modernized Radiomir 6154. The fact that Panerai can take this timeless DNA, and update it in such a meaningful and beautiful way, seriously takes my breath away!!! The detail on this watch is so beautiful. Notice how beautiful the bead-blasted matt finish looks on the trademark Panerai sandwich dial, with the antique tan lume, coupled with the blacked-out case!!! I am a huge fan of the HISTORIC Radiomir 1940 Panerai case. This is interesting since is lacks the trademark tight-seal half-cresent crown guard, which I also love. 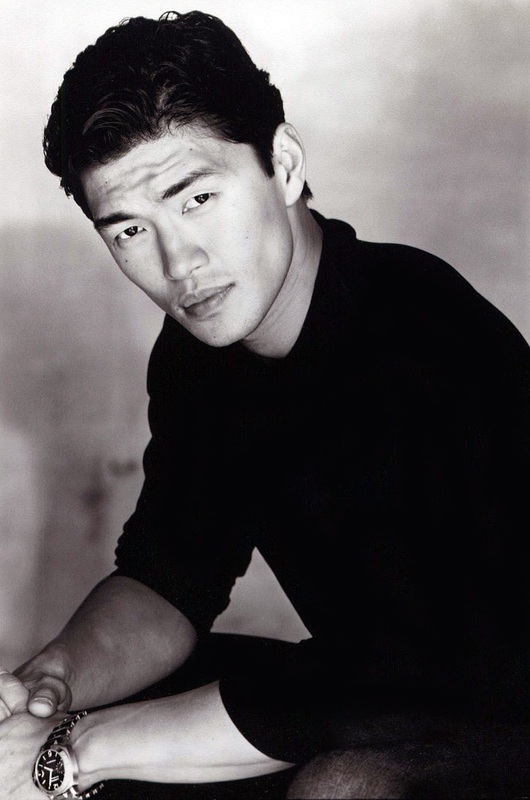 In a weird way, the two completely different looks, kind of offer a Yin and Yang. The HISTORIC Luminor 1950 case is so unusual looking, with its crown guard system, and the HISTORIC Radiomir 1940 case is crazy simple. Leonardo da Vinci put it best when he said "Simplicity is the ultimate sophistication." A new watch celebrates the remarkable association between Officine Panerai and its most loyal supporters: the Radiomir 1940 3 Days – 47mm “Paneristi Forever”, a Special Edition with the Radiomir 1940 case in DLC-coated steel with the inscription Paneristi Forever engraved on the back. It is dedicated to all enthusiasts of the brand, and in particular to those who belong to the community which for 13 years has interacted every day on the site www.paneristi.com. 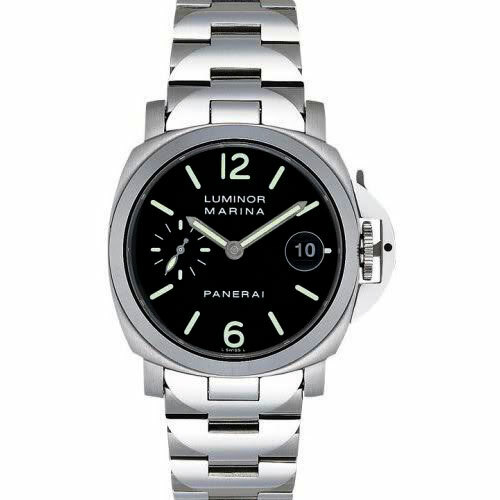 It was in September 2000 that admirers of Panerai watches first found the ideal platform for expressing and sharing their own passion on the site www.paneristi.com, which had recently been created by an English enthusiast. Since then, the online community has gathered many thousands of connoisseurs who have spontaneously created one of the most remarkable cults for a watch brand, with millions of visits to the site each month to share stories, photographs and information, and to ask and respond to questions. The forum hosted on the site is moderated by a group of coordinators who are completely independent of the brand, and it attracts enthusiasts from every corner of the globe. 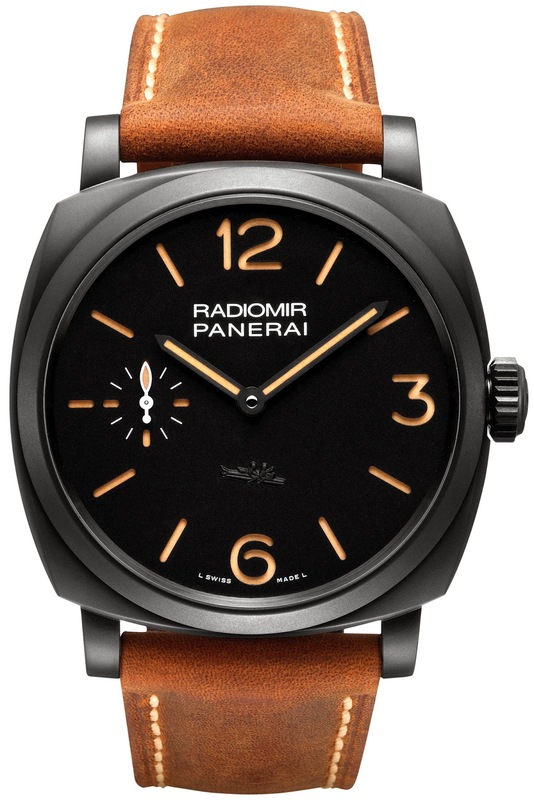 The new Radiomir 1940 3 Days – 47mm “Paneristi Forever” is a Special Edition of only 500 units, with a vintage appeal arising from the many details of the watch inspired by the historic Panerai models. 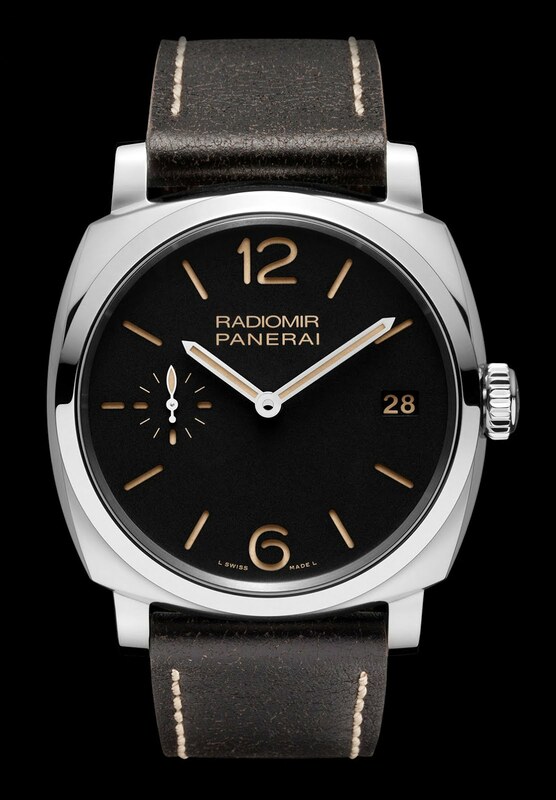 The Radiomir 1940 case has the same form as the historic one that was transitional between the Radiomir and the Luminor, and it has the same diameter of 47 mm that was adopted ￼￼￼￼￼￼￼￼￼￼￼￼￼￼￼￼￼￼￼￼￼￼￼￼￼￼for the first Panerai prototype in 1936. For the first time, the Radiomir 1940 case appears with a matt black finish, produced by a DLC (Diamond-Like-Carbon) coating on the steel structure. The black dial is of sandwich construction with minimalist graphics. On it are the small seconds dial at 9 o’clock and, in relief at 6 o’clock, the image of a Siluro a Lenta Corsa, the human torpedo on which the commandos of the Italian Navy carried out their epic attacks with Panerai instruments on their wrists. Toughness, reliability and maximum legibility are ensured by compliance with the historic standards of the brand. The P.3000 movement of the new Radiomir 1940 3 Days – 47mm “Paneristi Forever” will completely satisfy the expectations of the brand’s most demanding enthusiasts. The hand-wound calibre with a power reserve of three days is completely designed and created in the Officine Panerai manufacture in Neuchâtel. It has two spring barrels connected in series and a large balance wheel (13.2 mm in diameter) which oscillates at a frequency of 21,600 vibrations per hour. It also has the device which enables the hour to be adjusted without interfering with the running of the minute and seconds hands. 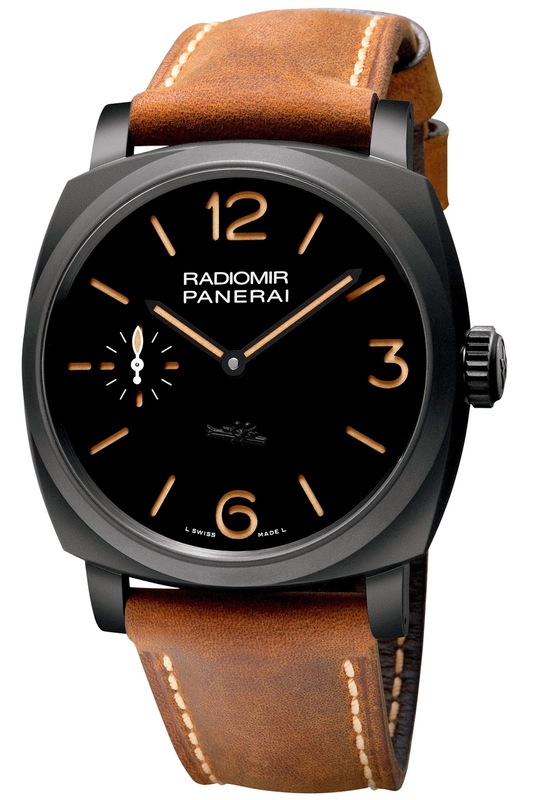 The Radiomir 1940 3 Days – 47mm “Paneristi Forever” (PAM00532) is water-resistant to 10 atmospheres (about 100 metres) and it is supplied with a strap made of natural, untreated leather. Case: Diameter 47 mm, steel with special hard black coating. Screw-down winding crown personalised OP. Crystal: Sapphire, made from corundum, 1.8 mm thick. Anti-reflective coating. 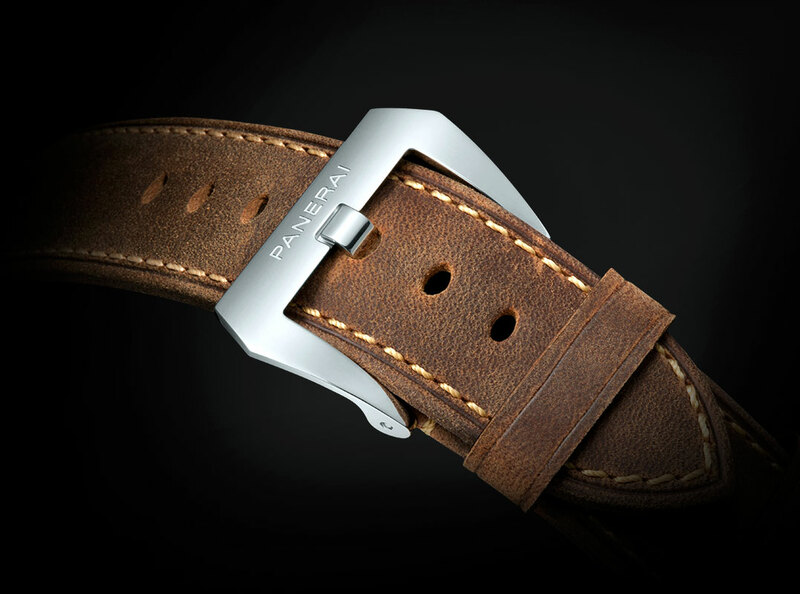 Strap: PANERAI personalised leather strap and trapezoidal matt steel buckle with special hard black coating. 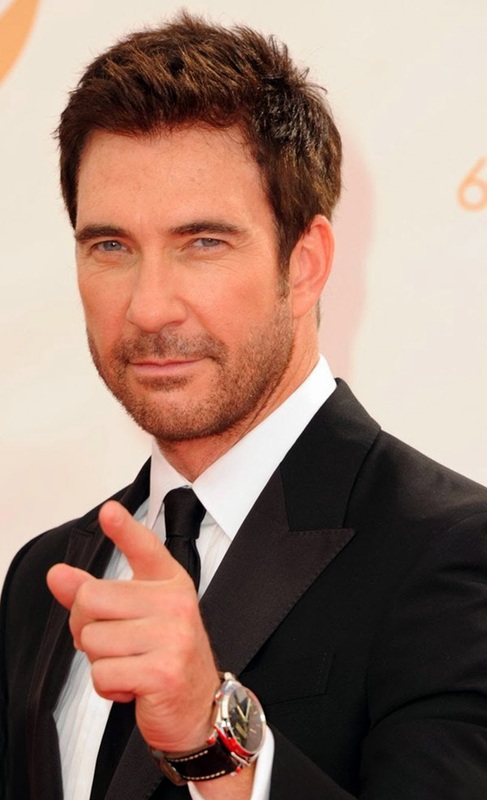 Dylan McDermott is pictured below, yesterday at the 2013 Emmy Awards in Los Angeles, with his girlfriend, Shasi Wells. This is the first time I have actually seen somebody wearing a PAM 514, and it looks stunningly cool. Don't get me wrong, I am madly in love with my PAM372, with its trademark Panerai half-cresent crown guard, but I also really, really, really love the simplicity of the Historic Radiomir 1940s case. 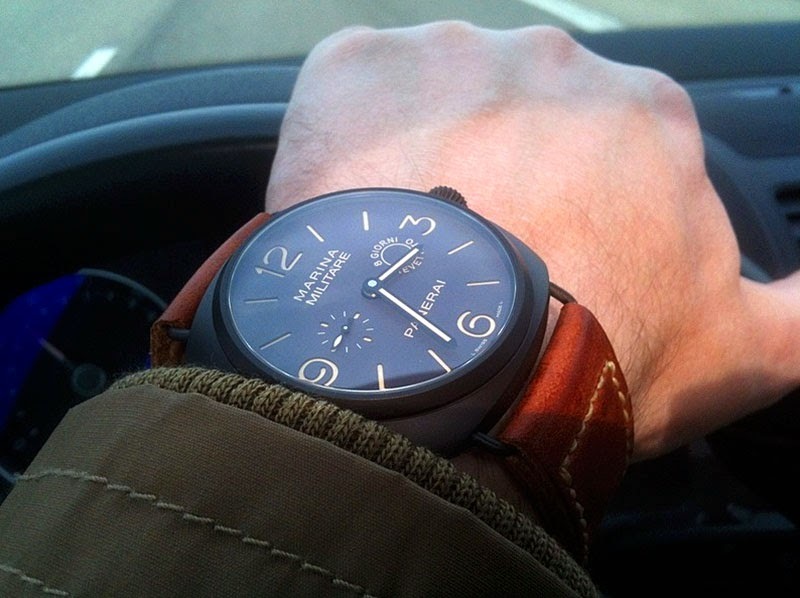 Christian K took this photo of his limited edition Radiomir Marina Militare 8 Giorni, which is a super cool watch. This watch is made out of a special Composite material which has a very dark brown color, coupled with a Sapphire crystal. 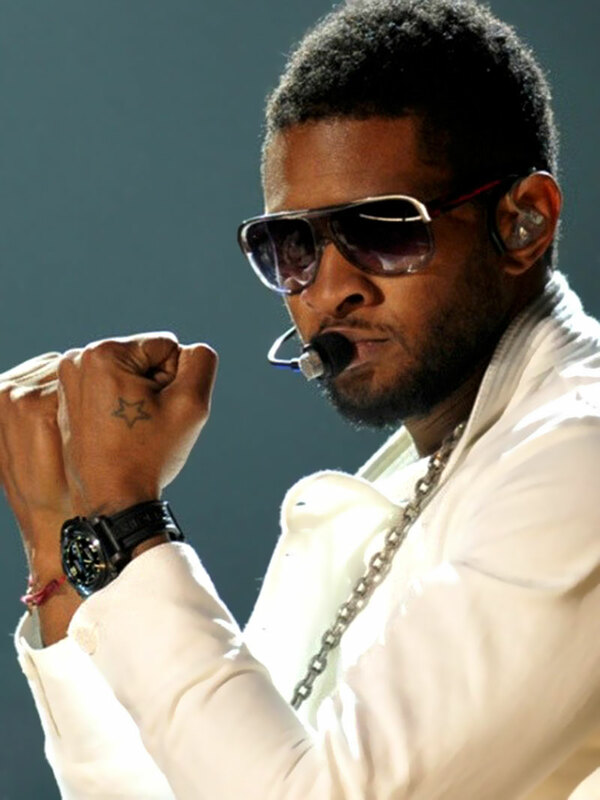 Usher Raymond IV is an Eight Time Grammy Award winning artist that has sold over 65 million records to date, making him one of the best selling musical artists in history. 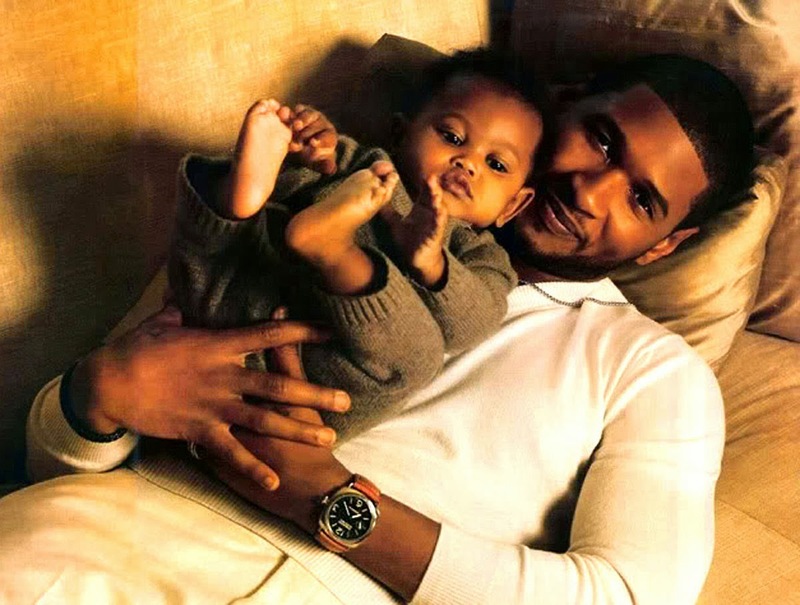 Usher pictured below, several years ago, with his newborn son, and you can see hie is wearing different Panerai models. Usher is pictured below with fellow recording artist, Justin Bieber, and we in this photo we see Usher wearing, yet a third Panerai, this time a ceramic Luminor Panerai model. Ironically, Usher discovered Justin Bieber, and helped make him famous. 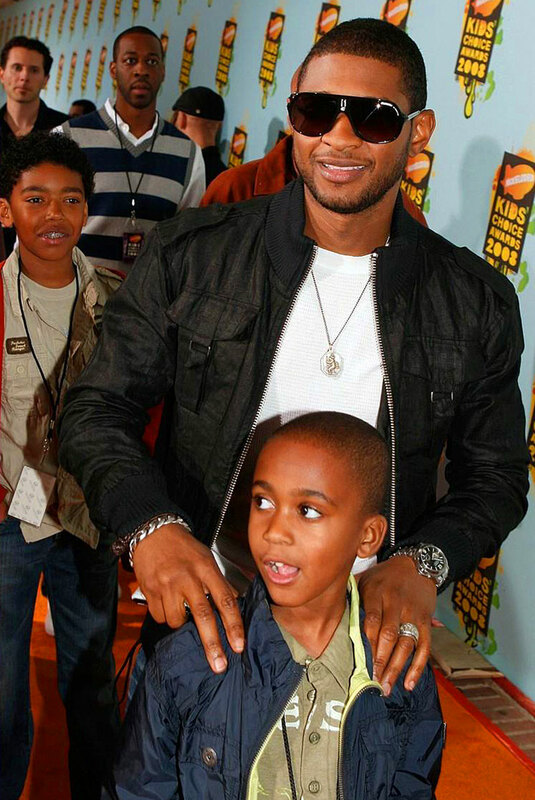 Usher is pictured below in 2008 sporting a Luminor Panerai on a stainless steel bracelet. 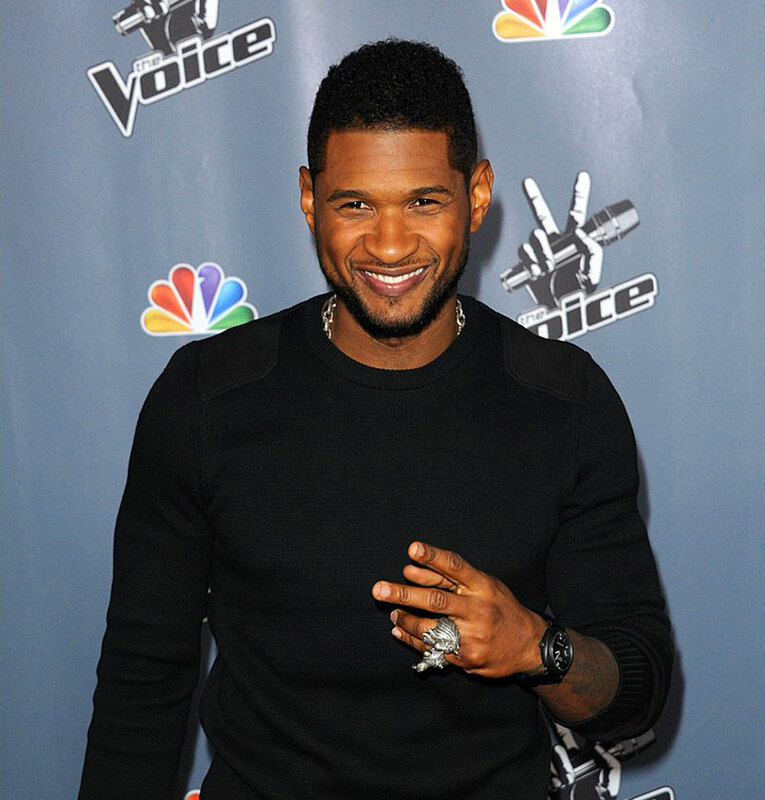 In the photo below we see Usher wearing a Ceramic Radiomir Panerai on the set of The Voice, on which he is a judge. Jakey lives in the Philippines and he took this superb wrist shot of his Panerai Luminor PAM00372 on a Radiomir Assolutamente OEM Panerai strap. Jakey mentioned he has 6 inch wrists, which at first may seem surprising, but that is really part of the magic of the PAM 372, is that since it has a completely flat, low-profile back, when it sits on your wrist, it's like it becomes part of your wrist. Also notice Jakey is sporting his 372 on his right wrist which gives it a Steve McQueen "King Of Cool" kind of vibe, and also notice how well the tan lume plays off the matching tan corduroy jeans. What a great wrist shot, and I can never seen to get enough of the PAM372. The Assolutamente strap pictured above does not come with the PAM372, but it is made by Panerai, and I think it is slightly padded. I have to get one of these Assolutamente staps, so I can write a review on it. So Awesome!!!! Talk about a blast from the past!!! I can't believe this watch was originally designed almost identically to this in the mid 1950s!!!! The Assolutamente strap comes standard on the Panerai PAM00422 (pictured below), as well as on the PAM00423, but it does not come standard on the PAM00372, but as you can see in the photo above it looks great on a 372, which in many ways look much likes its 422 sibling pictured below. 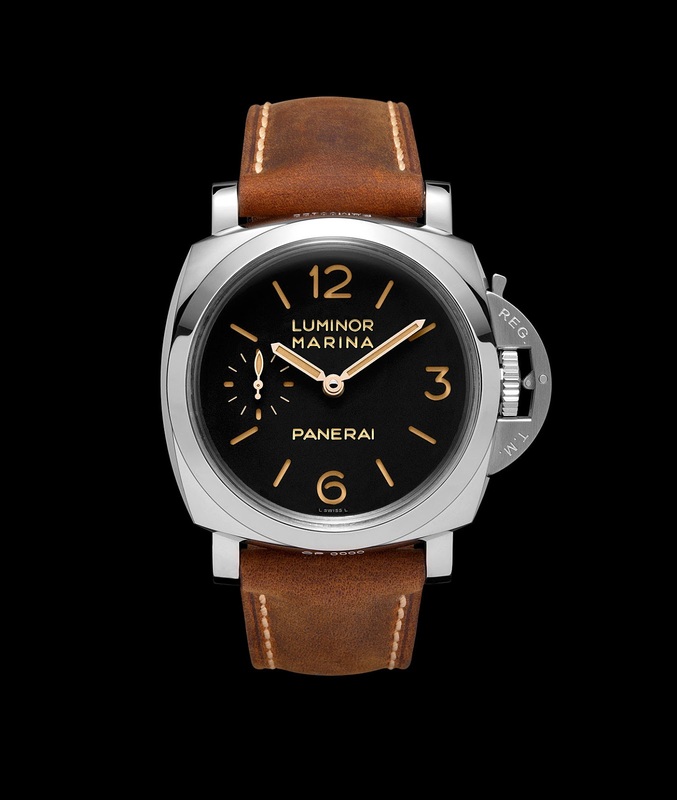 For the sake of clarity, and to put things into accurate perspective, I took this screen grab below from the Panerai.com HISTORIC LUMINOR 1950 microsite. It shows Three HISTORIC LUMINOR 1950 watch models side by side. 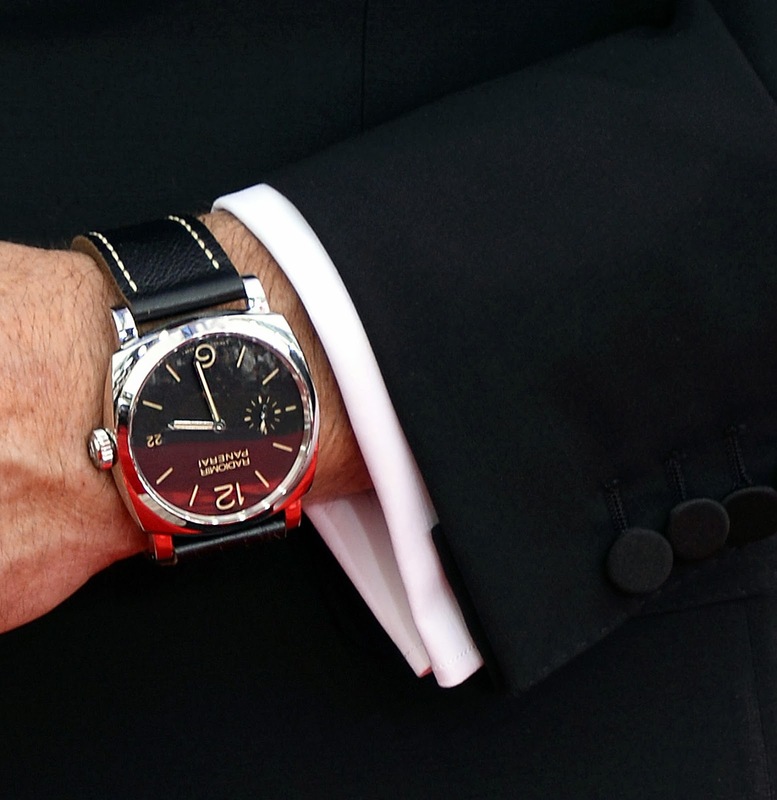 The first, of course, is the Panerai PAM00372, which is pictured at the top of this article on Jakey's wrist. In my mind, the 372–as it is commonly referred to –best represents and showcases the core-essensce of the beautifully simple and timeless Panerai design language. The PAM00422 and PAM00423 are also pictured below and while the are both magnificent in their own right, they lack the "Base" simplicity of the PAM00372, yet both come standard on the Assolutamente strap, which offers a completely different look than the standard Ranger strap that comes on the 372. So basically, Jakey purchased an OEM (Original Equipment Manufacturer) Panerai Assolutamente strap, available only from Panerai, and put it on his 372 to give it a different vibe, which is stunning. 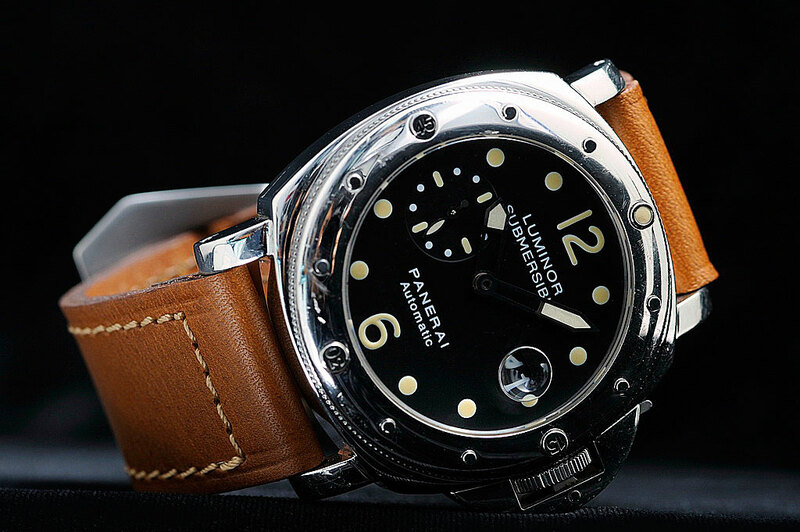 The photo below of the Panerai Radiomir Assolutamente OEM 26/26 strap is from Panerai.com. The Assolutamente is made from fine calfskin, and is very soft and natural feeling, since it is almost untreated. The beauty of these OEM Panerai straps, is that over time, they develop a beautiful patina. Jean-Paul Belmondo is like the French Steve McQueen, and he has had an amazing career. It looks like Jean-Paul is wearing a PAM00024, so I included a photo below for frame of reference. 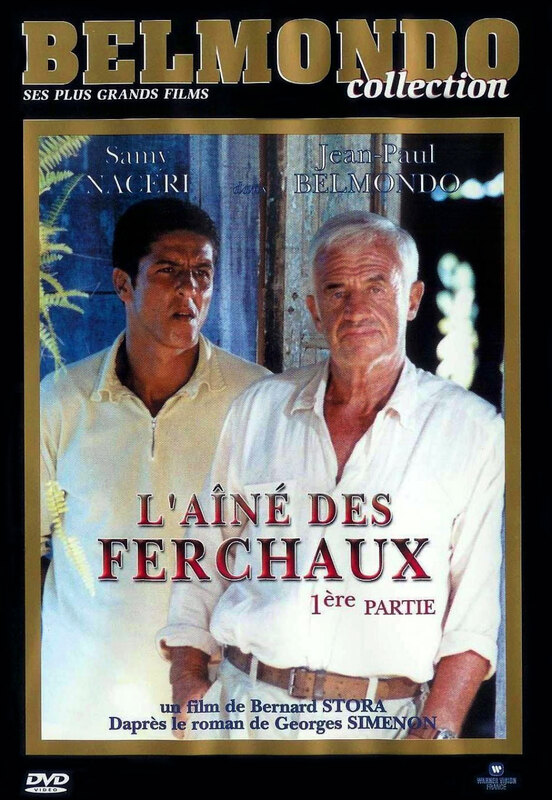 The DVD artwork below is from a movie he made in 2000 named The Eldest Ferchaux, and it shows Jean-Paul looking tough. I have get a copy of this movie so I can do some screen grabs. 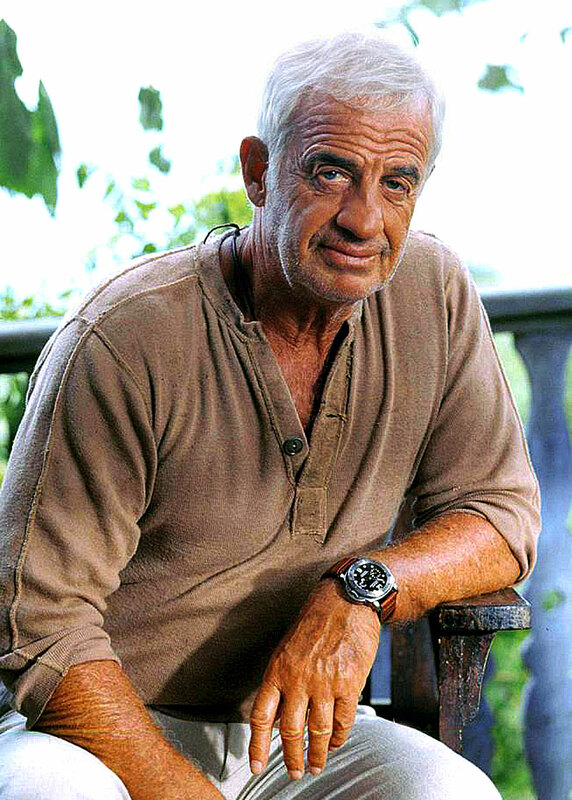 I have written extensively on Jean-Paul Belmondo on Jake's Rolex World. 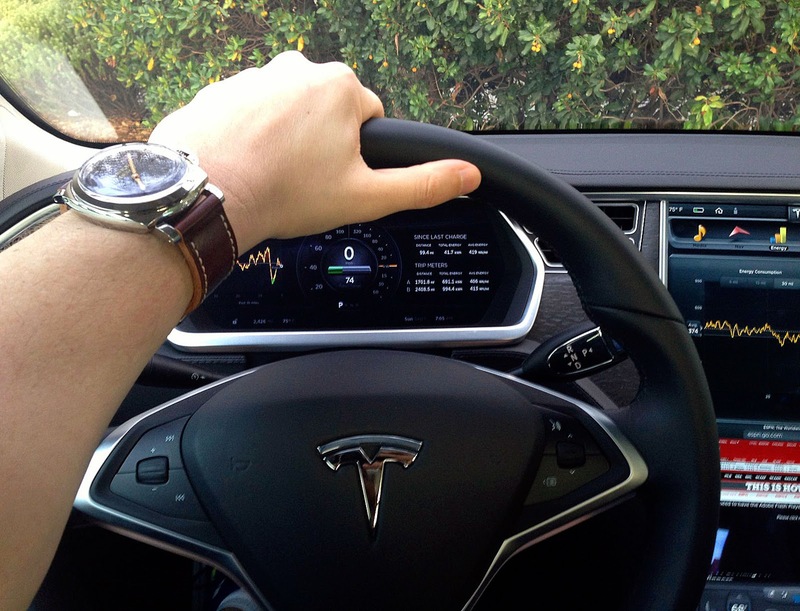 I was hanging out with a friend of mine who drives the new Tesla S Electric car, and he let me take it for a long test drive with him. It was a stunningly magnificent machine, kind of like the PAM372 I am wearing in this wrist shot!!! The Telsa S was like driving a rocket-ship, and doing 0-60 in 3.9 seconds with complete control and a flat torque curve! All I can say is WOW!! !